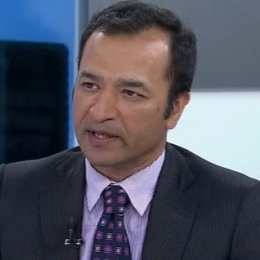 In our recent interview with Joe Mazumdar of Exploration Insights, Joe discussed the significance of the recent wave of mega-mergers and where investors can find the best investment opportunities as a result. Below is the transcript of that part of our interview. Bill: Regarding this wave of mega-mergers that we’ve seen in the last months, what do you think the significance of this is and what are the key takeaways that investors should know from what’s occurring? Joe: Well, for me the mega-mergers is for the companies in the gold sector to be relevant because the gold sector is not very big even though we talk about it a lot. I mean, when I did my study last year around the Q3 results of these companies, the combined market cap of, I think it was 25 North American-listed the companies, was basically $30 billion less than the market cap of BHP, which is just one diversified company. And so that’s around a hundred-ish billion dollars. And Apple lost $450 billion at one point over several weeks or almost a month or something like that. So in terms of relevance, the gold sector isn’t very relevant and what it’s competing against, more so potentially than itself and other companies, is the ETFs like the GDX or the GDXJ. And so when you get general investors, which is the growth in the investment component. And so this gets back to what we talked about at the Precious Metal Summit (Sept '18), regarding the growth of investment by passive funds rather than active funds, the stock pickers, the ones that will help fund the companies. Active funds are having less assets under management and less influence on the sector. The ones that have more influence are the passive investors. But their influence is basically the generalists being attracted more to them. Why? Because they’re liquid. They give them anonymity and they can get in and out and they also provide them options, different ways to invest. They can short it they can long it and they can triple leverage themselves and they don’t take any specific company risk or operational risk because they’re buying 20 or 30 companies. And so that’s attractive to a generalist. And so for these mega-mergers, especially the gold space, the idea is to compete directly against the ETF. Bill: For investors that are listening to us now that are more than just a generalist investors, but they devote a significant amount of their investing eyes and resources to this sector. Would you say that focusing on mid-tier growth-oriented producers, especially as a result of the expected coming divestiture of properties from the majors, that would be a key place to focus on? Joe: It’ll be interesting to see because now as you look at it, it’s really those mid-tier juniors that will be looking at this $1 to $1.5 billion of divestments over the next 12 to 18 months for growth. And the important thing is that the probability of them actually taking part in this Disney world up of assets coming from the investment bankers is whether they have funding, whether they have enough cash. Because with these big companies their primary objective is to get cash. They don’t want a lot of equity in illiquid companies. They’d rather take cash. And so ability to pay cash for these companies, for these assets is important. So what we might see is a certain amount of companies, especially the Australians, have been generating a lot of cash and they’re coming over and buying assets with a significant cash component. And we just saw that a week or so ago with Newcrest, again coming in to North America and buying 70% of Red Chris for about US$800 million. So that’s spending real cash on assets, but there’s not a lot of North American companies that have that kind of balance sheet. Bill: What do you look for right now in light of the fact that all these properties, these projects are going to be coming to market when you’re looking at a late stage development project in light of what’s occurring with the major minors, does that change what you’re looking for in a late-stage development project? Joe: Yeah, it has to be beyond exceptional now because it’s competing directly against assets that are already operating, that are already permitted that a major wants to get rid of. And if a mid-tier has an asset already in the area the synergies will make it easier for them to take that as opposed to a new greenfield site where they not only have to permit it, they have to understand how to operate in the area and all this other stuff. It’d be easier for them to take on an asset that’s already operating, already has a management team, already has a mine manager, already working. And maybe they could help out by maybe they know underground mining better, maybe this has been underfunded…Something with respect to those assets. It doesn’t always work out. I’ve seen assets that had been purchased by companies from majors and basically they can never make it work. Other ones have done really well. I think of a Silver Standard, now SSRM, with the Miragold Mine, they took that off of Goldcorp and they’ve done quite well with that. That’s an open pit run-of-mine heap leach. But I mean it really depends on the company that’s acquiring it. It’s not a panacea for companies just to get a lot of accretive assets. It really depends on the company’s ability to add value to that asset. The issue with that development story is that before we had a paucity of juniors with development projects, I mean that weren’t in the hands of majors. And so those, in terms of growth, would be what you would think that the majors would be looking for. But now the mid-tiers are the ones looking for growth and they may wait until these other ones come out of the portfolio of the Barricks and the Newmonts before actually acting on anything else. YOU CAN LISTEN TO THIS AND ALL MINING STOCK EDUCATION INTERVIEWS VIA YOUTUBE, ITUNES, GOOGLE PLAY, SOUNDCLOUND, iHEART RADIO, SPOTIFY, SPREAKER, TUNEIN, OVERCAST, PODBEAN & ON NUMEROUS OTHER PODCAST APPLICATIONS. Disclosure/Disclaimer: This was not a sponsored interview. Standard MSE disclaimer can be found HERE.